Comment: Connecting readers with great books since 1972. Used books may not include companion materials, some shelf wear, may contain highlighting/notes, may not include cdrom or access codes. Customer service is our top priority! Save an extra $1.32 when you apply this coupon. $1.32 extra savings coupon applied at checkout. There’s something really magical about a stereogram; in fact, these stunning designs practically come alive with movement. As they tease and surprise our brains, they teach us to look at things differently and make us aware of how our eyes play tricks on us. And, of course, they are simply beautiful to see. 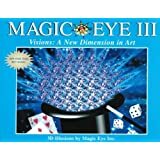 Through the power of illusion and the illustrator’s skill, meaningless patterns and hidden objects on a 2-D page take shape and pop out in full, glorious, clearly defined 3-D. 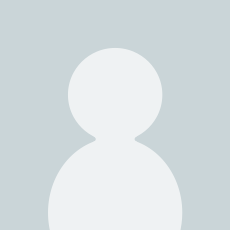 Images that were flat gain amazing dimension. These incredible, colorful, artistic creations offer unbelievable motion and depth. Gene Levine was raised in a family of artists. When he saw his first stereogram, he realized the artistic potential and quickly taught himself to create the images. Levine began colorstereo.com as an online gallery and was soon supplying most of the stereogram art for what would become the very successful TJ Mook series in Japan. He has been published in books and magazines all over the world, along with stereogram advertising and promotional applications. No one has done more to elevate the stereogram as an art form. Levine lives in Los Angeles, California. 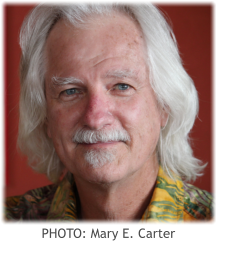 Gary Priester graduated from Art Center College of Design in Los Angeles. He spent fifteen years as an art director and later ran a very successful graphics design firm. Priester discovered stereograms in the 1990s and remains as obsessed with the form today as he was then. He has created hundreds of stereograms over the years for a popular Japanese book series, and designs and makes custom versions for advertising and sales promotion. Priester and his wife live in Placitas, New Mexico. The word “magical” is often used in describing stereograms. There is, of course, no magic involved. Stereograms use the very same physiological process as regular vision. Nevertheless, it can be quite startling to discover there is an entirely different way to use your eyes than familiar everyday vision. 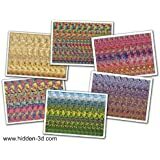 Suddenly, objects or meaningless patterns on a 2D page appear to pop in or out in full 3D. Objects that are entirely invisible emerge as clearly defined 3D images. Flat object arrays that seem perfectly obvious suddenly erupt with hidden dimensions. 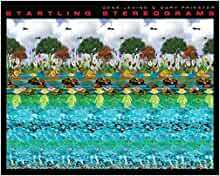 Stereograms were popularized in the mid 1990s in a mania of books, posters, and mass media. The stereogram craze passed, but as the world continues to shrink through digital communication, their magical appeal is pulling in more viewers than ever. It’s wondrous to think it was not that long ago mankind believed in only one way to use their vision. 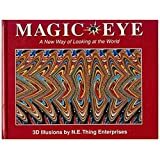 The word stereogram may not be readily associated with these addictive 3D illusions, but artists and authors Gene Levine and Gary Priester are. As the best-known stereogram artists in the world, these two artists have covered the globe in 3D through their publications and respective Internet sites, raising stereograms from the visual curiosity of the 1990s to a 21st-century art form. 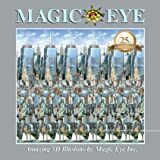 Commercial uses take their stereogram art even further: advertising and promotions, book and album covers, greetings, and logos to name just a few. 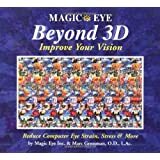 Self-improvement, from meditation to eye-exercise therapies, has also broadened the uses for stereograms. The stereograms in the book are well done and run a good line of some that are easy to do and others that are quite difficult. The problem I had with it is that many of the 3D images are simply not that interesting or fun to spot. Quite a few entries that are just words done in 3D or basic geometric shapes. There are some animals and complex 3D images in there, but a pretty substantial portion of them are just not that interesting. 5.0 out of 5 starsThe PERFECT bedtime book!! This book is AWESOME. I love looking at it before bed. By the time I get in bed it's too late to start a book and I don't want to watch TV. I like staring at a picture because it's relaxing...I don't have to think...and when my eyes start to lose focus that is when the pictures come alive. I feel like I am staring into a window. I don't want to give anything away, but the bird is my favorite. It's so realistic. I feel like I could reach into the window and pet the bird's feathers. When I finish this book I'm going to buy another. I already bought one as a gift for someone in my art class. I can't wait to see his reaction. 5.0 out of 5 starsSimply the best 3D art EVER! 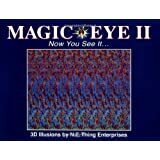 So if you are like me when these books first came out you probably collected a few of the Magic Eye versions. This one is my absolute favorite, some of the art has up to 17 layers of visible 3D. Not so flat like the older stuff, other artists. These guys truly have a taste for color, shape and nature. This is art in 3D, not just an exercise for improving your eyesight. I have a Stereogram book that I love. I found these 2 online and thought they would match up with high quality pictures as my first book - they do not. My first one is much better. To me this book seems like the author used every drawing he could find just to fill the book. 5.0 out of 5 starsI would DEFNITELY recommend. I have been a fan of stereograms since the 1990's. This book takes them to a whole new level. The 3D image details are stunning and I was wowed by everyone I viewed so far. I would DEFINITELY recommend. I buy one of these books every once in a while for fun. 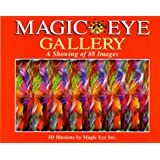 There are a few pictures that threw me for a loop, but overall, the book has very bright and colorful pictures. t's amazing how some people can see the hidden picture right off, while it takes others some time and some can't see them at all. I like to keep my eyes in practice and some of the pictures are quite beautiful. Very beautiful images, although the cover image is really the best one it's got, in my opinion. Also, high-quality paper and printing.